Today's Thoughts: Still fighting something...head hurting and aching makes looking on the bright side a bit difficult. I have barely left bed, my head is hurting, my ears throbbing, but the cough that I had yesterday seems to have subsided. I'll take the bad with the good. This is a journey... I know that it isn't going to be easy. 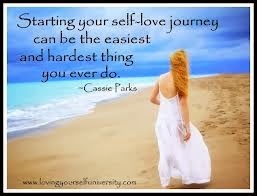 I am not expecting that tomorrow I am going to wake up with newfound self-love...look in the mirror and see someone beautiful...it will take time, but I am prepared for the journey...I am allowing myself to be open. Today's Gratitude January 4, 2014: Today I am grateful for a body that works. Tonight, as I was getting my son ready for bed, I moved his legs, body, arms, head. This is a nighty routine. Due to his rare muscle disease, Myotubular Myopathy, he can't move much on his own. Lifting his arms or legs against gravity is difficult to nearly impossible. He is gracious with each and every movement that he allows others to make for him, smiling, touching, kissing the entire time. His spirit is so sweet that my heart is touched multiple times a day. As I go through this routine every night, I am reminded how many of us take these simple things for granted...moving with ease. Even with my sore body, headache, and my hip hurting, I am far more mobile than he will ever be. So, tonight I am grateful for a healthy body...a body that I can make stronger, a body that has the ability to move when I want it to. This body, that I am learning to love, is strong and for that, today, I am extremely grateful! What an inspiring post. Too often I complain of the minor aches and pain in life. Which are exactly that...MINOR.